My unwatched pile is down to 38, yay!!! 12 on order then ..
Well looky here what I picked up at the ROH shop today. 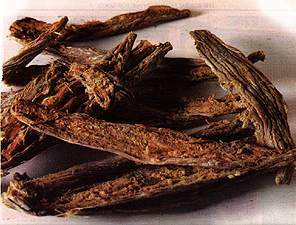 This will only harden the fish I'm preparing for 2012 if you know what I mean. And then they harden. A lot. I may use a huge bronze sculpture of a fish. I mean, *after* Annie gives us our tickets for Les Troyens; I wouldn't want to knock her out before that. ... I mean, *after* Annie gives us our tickets for Les Troyens ..
That's given me a few more ideas. Which Traviata got the most votes ..... ? These are the two last days of my MetPlayer subscription so I'm trying to watch a couple of video files. 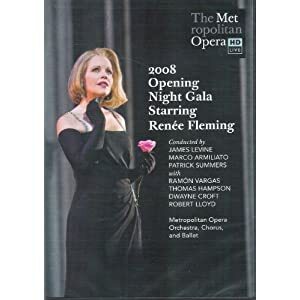 I have just watched the Gala feature that is there, with Renée Fleming doing one act of three different operas - La Traviata, Manon, and Capriccio. I skipped Capriccio which I saw recently on Met in HD. I must say that her Violetta and her Manon are up there with Anna's, and the productions are phenomenal. I'm not sure if they exist separetely on DVD, will investigate. OK, it looks like Renée has two Traviatas on DVD, one with Villazón, and one with Calleja. In this Gala video she is with Ramón Vargas (who sings Alfredo beautifully, much better than in another one I have with him and Draculette). Does anybody know if either one of the Renée Traviatas is the same production of the one in the Gala video? I mean, I know it's different singers, but the production itself (scenarios, etc.). Chances are it isn't, because one is by the ROH and the other one by San Francisco Opera, but sometimes these productions travel. Same thing with her Manon, on DVD it's an Opéra de Paris production. Last edited by Almaviva; May-30-2011 at 23:55. My subscription to MetPlayer is over. I watched some 10 operas in 6 months, paid $49.99 for the semester. I could have used it a lot more but never found the time. I didn't even make the flat price work for me, since I ended up paying per opera as much as I'd have paid for pay-per-view. What in the hell explains the Met's strategy for releasing DVDs of their productions? And can we do something about it? Like, collect signatures and send a complaint to them? Why o why they have such gorgeous productions there that never see the light of the day on a DVD store, while they release several mediocre productions? Phenomenal Il Barbiere di Siviglia with Didonato, Floréz, and a whole dream team in all main roles. These don't get released... meanwhile we get that horribly confusing stupid idea for La Sonnambula with the opera inside the opera, wasting the talents of Floréz and Dessay... and some sub-par Aidas. Mr. Peter Gelb, are you listening? Is there anything we fans can do to reverse this situation? Any suggestions, folks? This certainly expresses my views on the Met "strategy" admirably. I'd like to take Gelb and shake him till his teeth rattle and he listens to sense. You are right, there appears to be little interest here. Personally I have limited interest in ballet unless it is part of an opera. And even then I often find it interrupts the flow of the story. However there may be other enthusiasts to join you! All times are GMT +1. The current date and time is Apr-25-2019 16:49.